Our society seems to have shifted away from textual communication, in favor of visual communication. Specially-designed platforms like Instagram, Snapchat, and Twitter provide much of the same ability for self-expression, without requiring so many words — and most people seem to prefer that. I dabble in the newer forms of social media (find me in the links listed on the sidebar) — and I’d really rather stick to observing the shifts in cultural communication, not criticizing them. Still, my preferences in communication are not invalid — and the fact of the matter is that I like words (in addition to images), and I appreciate some sense of permanence. Consequently, I like to maintain an online presence here, in my own little corner of the internet, where I can keep a record of my life (for my own reference) while also providing a window for others who want to know me. 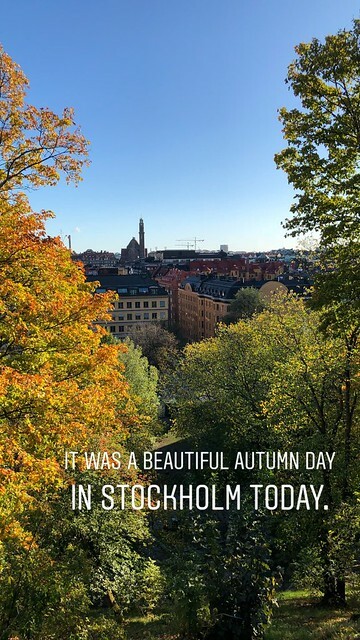 Among the college students with whom I work, it seems that short-term (24-hour) stories on Instagram and Snapchat are the preferred way of telling stories — so I decided to practice cross-cultural story-telling while I was in a cross-cultural setting: using my Instagram story to reflect on my day in Stockholm (Sweden). Since it automatically disappears within 24 hours, though, I wanted to save a parallel version here on my website — for posterity sake — while also taking advantage of the opportunity to evaluate the mode of communication itself. 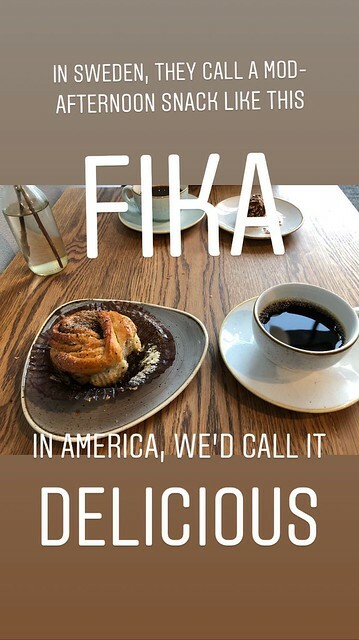 Publishing to my Instagram story felt clunky and cross-cultural. Like any sort of second language. But I think I was able to express myself pretty effectively. I didn’t like the way that the medium limited me to vertical (“portrait”) images, whereas I’m used to shooting in horizontal (“landscape”) mode. 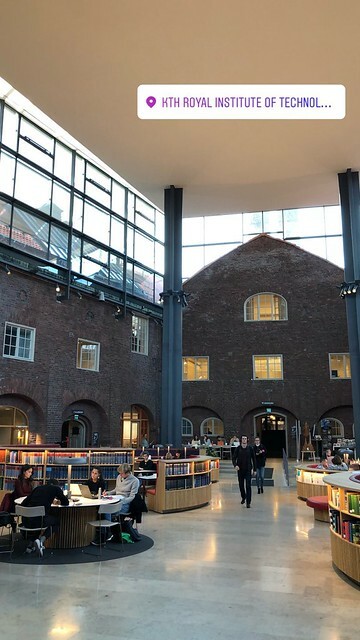 The two images above and below, from the Stockholm Public Library, originally had a lot of wasted space above and below them. I didn’t really have a lot of meaningful stuff to say about them, just: “I started, by myself, with a visit to the Public Library” (with a location tag and a GIF sticker of a book with pages flipping) and “Almost all of the books are in one, big, round room!” (with a nerdy smiling face emoji). In retrospect, I think these lame library posts were just me getting used to the medium, taking my lumps in learning how to tell good stories by telling some bad ones, too. The pictures — even expanded horizontally — don’t do that library justice, though. It was a pretty neat place to visit. 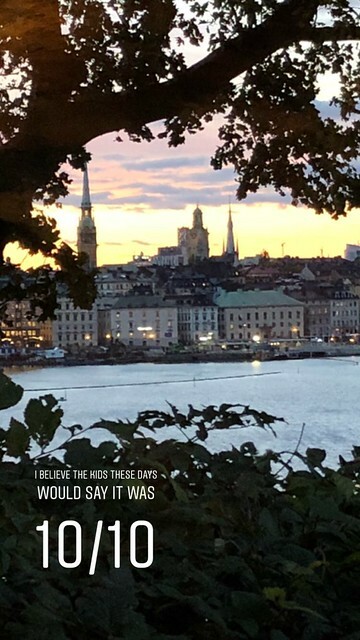 I didn’t go to Stockholm for tourist purposes, though. I went there for ministry purposes. 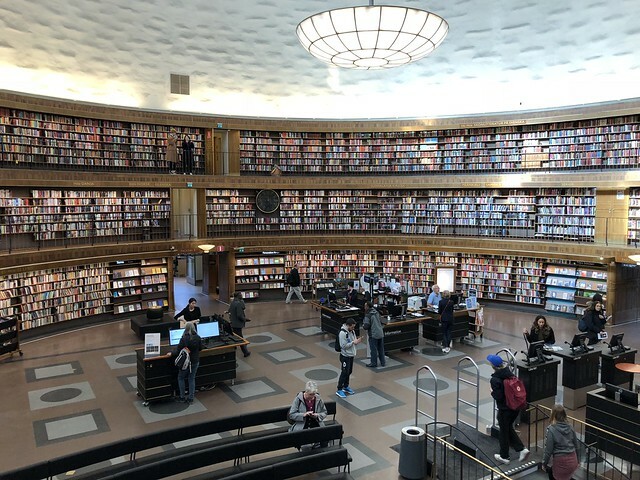 H2O Kent has established some key partnerships with Christians in Stockholm who are working hard to establish missional initiatives in unreached (or under-reached) communities. 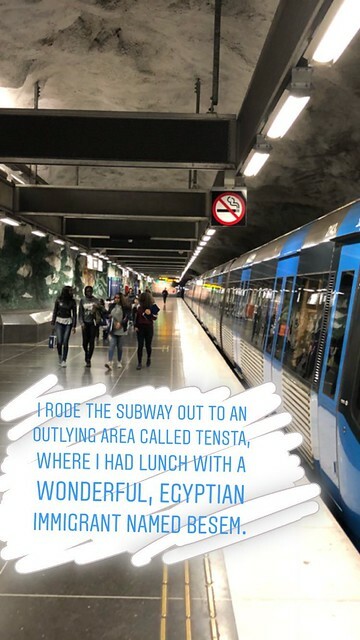 There’s one American missionary with Great Commission Europe, who has been living in Stockholm for three years (in Sweden for six years), and she’s currently working in an immigrant community called Tensta. The vast majority of her neighbors come from the Middle East — but many of the people from these “Muslim” countries are surprisingly open to learning about Jesus. We currently have one young Kent State graduate who is raising support to join these efforts (please pray with us that God could clear the way for Janelle to move this winter! ), and it was very helpful to connect with one of the leaders from this community to learn about his experiences and receive his insight for how we can continue to provide meaningful partnership with this missional initiative. 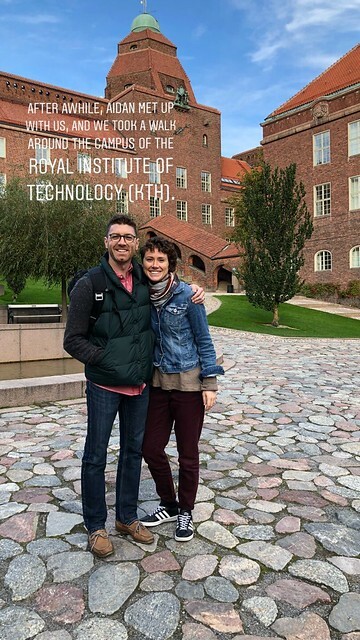 Even while we’re praying and preparing for a new Kent State connection in Tensta, it’s significant to note that H2O Kent already sent out a staff couple (named Aidan and Chelsea Rinehart) around this time last year — and they’re currently working to reach university students at the Royal Institute of Technology in Stockholm’s city center. 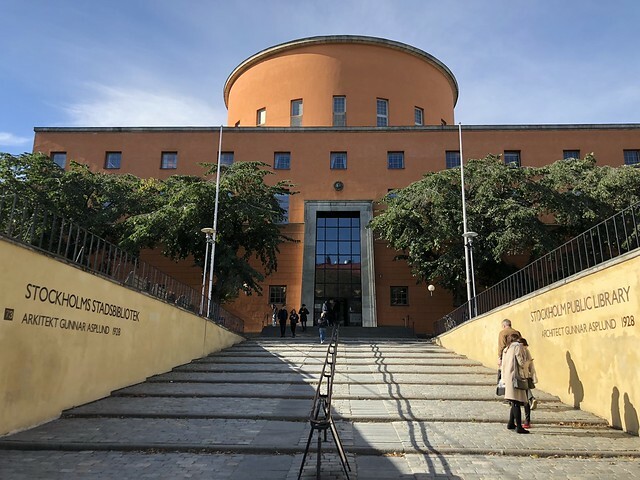 They’re also thinking and praying through the possibility of a new missional initiative in an area of the city called Södermalm. So while we were taking time to talk about the past, present, and future of the Rineharts’ ministry in Stockholm, we made it a point to spend some time in Södermalm… And I loved the opportunity to be a part of their world, even if it was only for a day (or two-and-a-half). 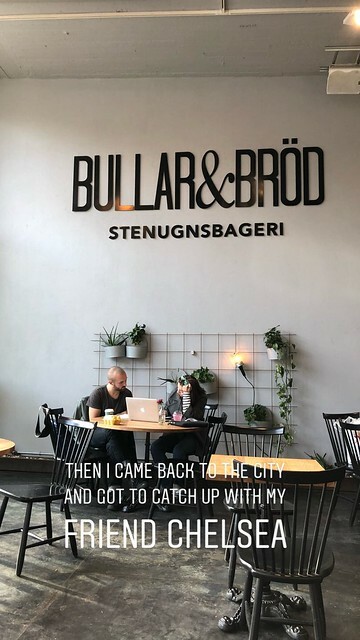 As I look through these screenshots from the Instagram story and write out some of the background information, I realize that I didn’t do a very good job of showing the strategic ministry side of my day in Stockholm — even though that was really the whole idea. Something about the culture of Instagram lends itself to easy, breezy, beautiful images that look more like a tourist magazine than a full-fledged glimpse into the place and people I was visiting. I blame myself, more than the medium, for this. Still, I’m also glad that I can back things up here, in a more expansive setting. This entry was posted in Blog, Culture, Culture Shock, Europe, European Missions. Bookmark the permalink.